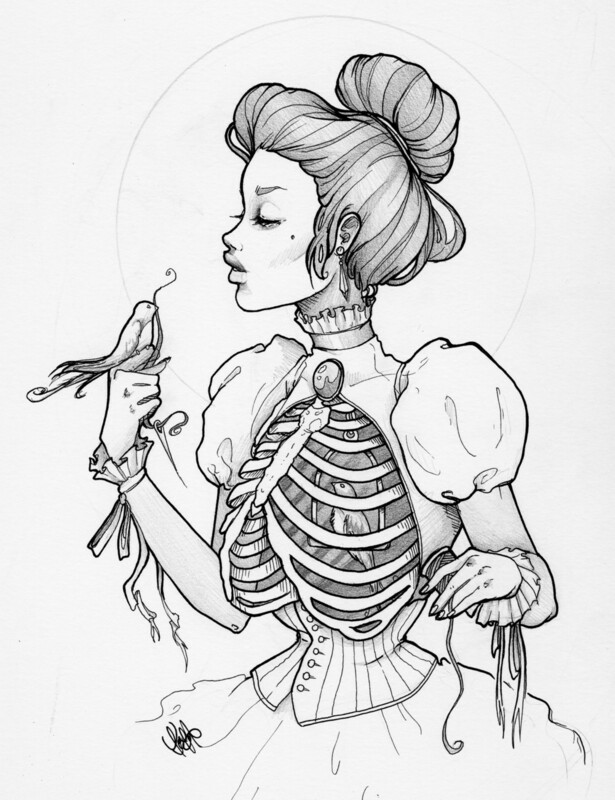 Hey everyone, last call to pre-order Keri's art book before the show. The book is 20 pages deep with her famously strange illustrations and the pre-order price is now $20, but it won't stay that way for ever. Only a limited amount have been ordered so grab yours before they are gone. Specify in the notes to merchant area whether or not you will be picking your book up at the show or if you'd like it mailed to you. Thanks! Hey all you patient people, omnia-studios.com is up and running! Please note though that the website is still under construction and a few pages are not fully complete. BUT we should have everything 100% done by mid June. Excited? You should be! :) Please check it out and tell your friends! Hanging air plant sugar skulls! Once the Omnia Studios website is finally complete, pieces like this little gem will be for sale! 100% made by hand with no molds of any kind, this little tentacle was created from earthenware clay and will be featured for sale in our ceramic home decor shop. The glaze used is a very deep nautical blue with a slight lustre, base was stained with a nice red mahogany to offset the deep blue of the ceramic glaze. Taking over 15 total hours to make not including firing time, it's definitely a unique work of art. It can be displayed sitting on a shelf (as a ring holder perhaps) or even hung on a wall to hold a hanging candle lantern. This little octopus tentacle measures 6" tall including it's base and is $150. Omnia Studios blog is now up! Please keep this page bookmarked for Omnia Studios updates, sales and upcoming events. Oh, and don't forget about the upcoming art show that will be held in downtown Augusta, Ga exclusively featuring the art and photography of Omnia Studios. Address is 230 8th Street (8th Street Hookah Lounge) and there will be art, photography, home decor and jewelry for sale, plus free wine!